FILE PHOTO: Japan's Prime Minister Shinzo Abe speaks to media at his residence in Tokyo, Japan, September 15, 2017. TOKYO - Japanese Prime Minister Shinzo Abe plans to dissolve the lower house of parliament at the start of the extraordinary session on Thursday, a senior lawmaker of the Liberal Democratic Party said, paving the way for a snap election for the lower house. The extraordinary session of parliament is set to start on Thursday. Abe told a meeting of ruling party executives of his plans on Monday, the lawmaker said. 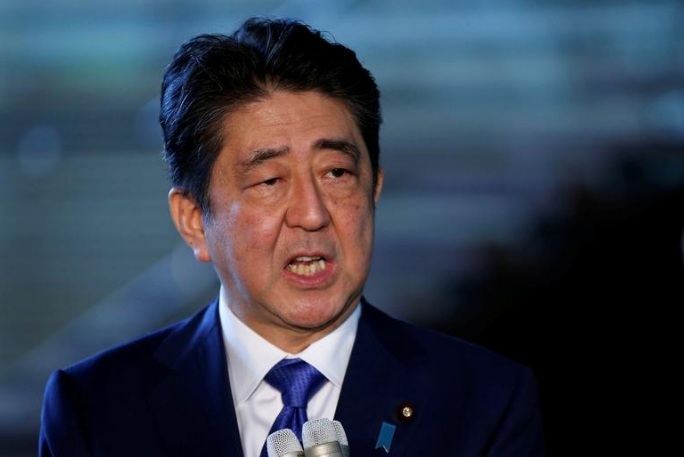 Japanese Prime Minister Shinzo Abe plans to dissolve the lower house of parliament at the start of the extraordinary session on Thursday, a senior lawmaker of the Liberal Democratic Party said, paving the way for a snap election for the lower house.